The transcript of Counter Plate in a short time, and the transcript accuracy improves, too. *Detaching the pin is easy. 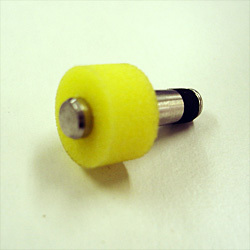 *The pin can be used without hurting, and repeatedly. Please spend the adjustment screw in the pin point and adjust retentivity.